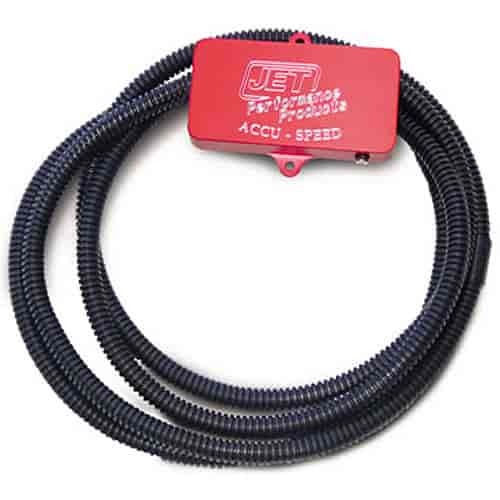 JET Performance Accu-Speed interacts with the vehicle speed sensor on late model GM, Ford, Dodge, and Jeep trucks and SUVs. It connects to the transmission to allow shift point adjustment & speedometer calibration on vehicles where smaller or larger tire diameter changes have been made. Does JET Performance 50108 fit your vehicle? 50108 is rated 5.0 out of 5 by 1. Rated 5 out of 5 by the old man from it works! Awesome product.was easy to install and calibrate.hope it will help save my transmission.notice difference in shifting and throttle body performance. Thanks guys!